Wine grapes in autumn. Photo courtesy of Viktor Hanacek. 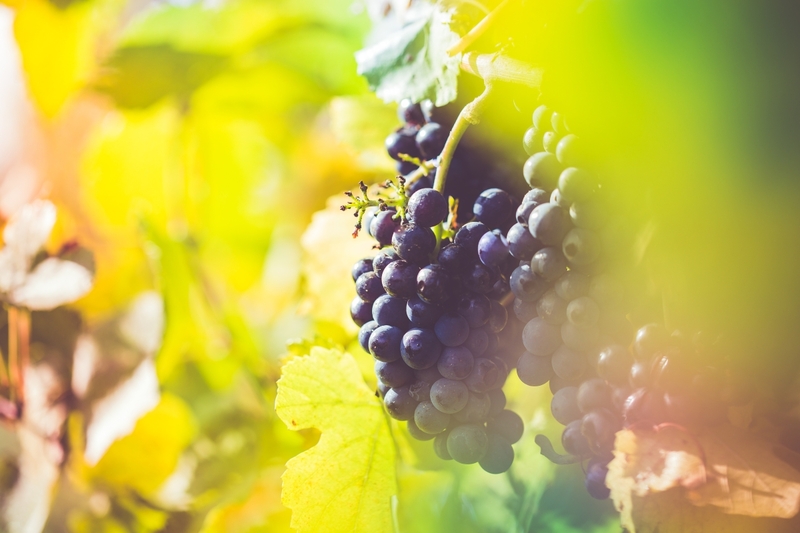 While every single wine is different, and their flavours dependent on a multitude of factors, the type of wine grapes used generally has an enormous impact and can provide deep insight into the wine you’re drinking. It shouldn’t be taken as gospel truth, but rather as a great place to start. In the first “Getting to Know Your Grapes” I covered the basics of six of the best known varietals. In this post, we’ll go over some other grape types you’ll frequently encounter, as well as some slightly less well known ones. Red wine grapes. Photo courtesy of Viktor Hanacek. Malbec: One of the six wine grapes allowed in a Bordeaux blend, Malbec is an important grape to French culture. However, recently it’s been Argentina that has given Malbec a new life, making varietal wines that showcase the bold, dark-fruit flavour Malbecs are capable of. With a thin skin, similar to Pinot Noir, Malbec is unfortunately susceptible to disease, and has severely depleted because of this over the years. Malbec can taste differently depending on where it’s grown, but herbal notes, tobacco, dark fruit and leather are common. I find Malbec pairs singularly well with pork, but try it with Mexican food — it stands high above other pairings. Merlot: Yes, yes — we’ve all seen the Sideways clip of Myles screaming obscenely about his dislike of Merlot. 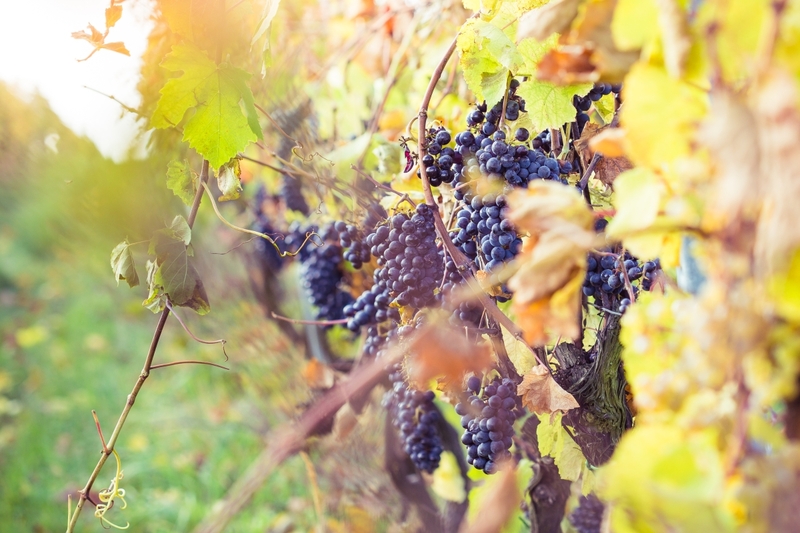 But that is fiction and this is fact — Merlot can be a grape with great character, and blends exceptionally well with a variety of other wine grapes. The typical Merlot varietal will express itself as softer, plummy and round, with notes of blackberry, cherries and other sweet fruit. More complex flavours like rosemary are possible, and some Merlot grapes can even be cultivated to have a thicker, Cabernet Sauvignon-like skin to give them a tannic kick. Sangiovese: Whether or not you’re familiar with this wine grape, if you drink wine in any quantity you’ve probably had it. Most famous for its use in Chianti wines from Italy, Sangiovese makes bright, vibrant wines that pair exceptionally well with food of all kinds. They are traditionally known to have a fairly modest aroma, with a lighter body and flavour profile. However, with nice herbal notes, strawberries and leather, a good Sangiovese can still muster a great deal of complexity. White wine grapes. Photo courtesy of Viktor Hanacek. Riesling: This white wine is still trying to overcome a persistent negative stereotype that has lingered for decades. When Riesling comes to mind, many wine drinkers associate it with the German-grown, bottom-shelf, hyper sweet wines of their college days. 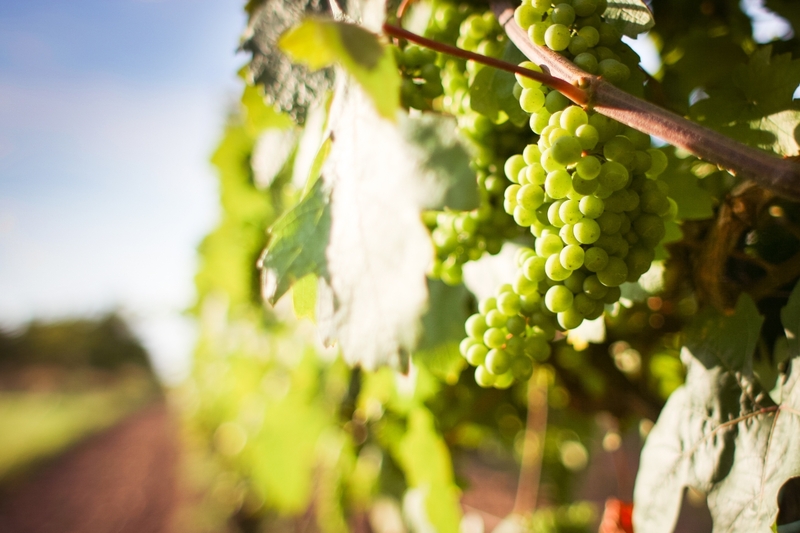 Now, Riesling can make exceptional wine, and is grown in several regions of the world. Many of today’s Rieslings are still sweet, but considerably dryer than their peers from the 1980’s. These wine grapes often have very potent floral and perfume characteristics that are balanced out with a crisp acidity. Almost all of this grape are bottled as a varietal, and are rarely aged in oak. Riesling is notable for its development of “noble rot,” a harmless type of fungus which turns its flavour profile much sweeter, similar to ice wine. Viognier: Difficult to harvest, fickle to grow, and at several times in history almost wiped out, Viognier remains a fringe favourite for white wine nuts. Big and bold, Viognier can possess characteristics similar to a California Chard., except generally with a far more lush aroma of flowers, and a more acidic backbone. These wine grapes can have enormous spicy complexity if they are harvested correctly. Grüner Veltliner: These wine grapes from Austria are some of my favourites for their fresh, vegetable aromas and flavour. Not prone to aging or oak, it’s hard to beat a Grüner Veltliner for refreshment. One of the most common tasting notes with this grape is white pepper, hitting your palate with a kick of spicy complexity. There’s also celery, and light fruit notes that go down incredibly easy. Really good Grüner Veltliner can even adopt a mineral characteristic similar to Chablis. I find them to pair exceptionally well with food, especially when they’re cheap and cheerful and you’re at a barbecue.